In 2010, a federal law passed that requires all contractors performing renovations on homes or buildings built prior to 1978 be certified and trained in procedures to prevent lead contamination. Lead is a naturally occurring element found in small amounts in the earth’s crust. It can be very toxic to all humans, animals, and especially children under the age of six. Lead paint is found in many older homes today. Sometimes it can be under layers of paint including windows which have been painted. If your windows are peeling, chipping, cracking, or damaged in any way, you and your family could be exposed to lead paint. It’s important to recognize these problems and fix them before any harmful effects occur. Even the smallest exposure to lead paint can result in high blood pressure, hypertension, nerve disorders, memory problems, muscle/joint pains and lowered IQ for children. If you suspect any lead paint in your home, you can have it tested through an inspection or assessment. 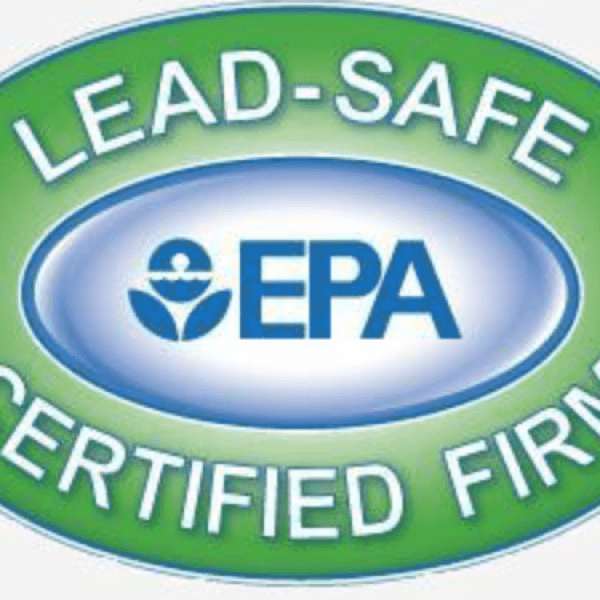 Use an EPA Lead Certified Professional to ensure work is done properly and followed by the guidelines. Unfortunately, many companies continue to neglect properly educating their contractors and do not perform the required safety precautions. When renovating, repairing, and painting in homes built before 1978, firms must be certified and use lead-safe work practices. Window replacement projects can stir up lead dust, which is an extremely dangerous hazard to lead exposure. We are a company of honesty and integrity. We work to ensure safety of our installers as well as the homeowners and families we serve. North Georgia Replacement Windows has acquired proper training and certificates and we follow the guidelines when working with lead-paint. If a company is ignoring the procedures and protection against lead safety, it is possible they are ignoring other factors of your window replacement project. At North Georgia Replacement Windows, we take the EPA lead-based paint process for window replacement seriously and so should you. If you are concerned about lead-paint being present in your home, contact a lead paint firm. For more information or to report a company who is not taking the proper precautions and training, please visit www.epa.gov/lead/pubs/leadinfo.htmor call 1-800-424-LEAD (5323). Contact us if you think you may have lead paint present in your home. We can set up a free proposal and guarantee a safe renovation and disposal.